Anyone ever needed to test the web application on a low bandwidth WAN link? But u can’t afford create a link using actual routers and other networking equipment. I came across such situation where, a web application works fine within the development environment which is a LAN. But when application is deployed in the actual environment which is a WAN with low bandwidths like 128Kbps it becomes very slow to response. My solution was WINEM. I wanted to simulate the staging environment within my development environment so I can check application before sending but don’t have equipment to do that. 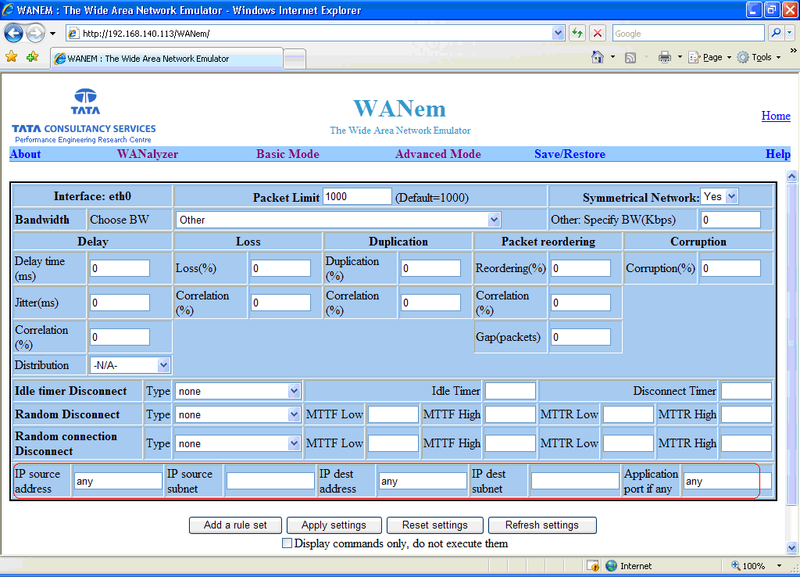 Then I came across a free WAN emulator called WANEM by TATA Consultancy. I t was easy to set up, easy to use and do the job. · At least three machines to simulate Server, Client and WAN network. · Setup Routing between client and server so that the data go through WANEM. This setup can be done with virtual machines if you can’t find enough machines. My setup was a hybrid one which has virtual machines real machines. And basically that’s all there is to do. You have emulated the WAN within a LAN. More clients add is just configuring routing. · Download the WANEMvirtual machine image to use with VMWARE. · Howto set up the routing in the Machines. and LAN. Thanks for sharing that kind of information. There are several service providers that offer Leased Lines cost-effectively, and it has made it easier for businesses to carry out all official activities online.